Would a mini split system work for you? With energy prices soaring, we all need to save costs and protect the environment as much as possible when it comes to heating and cooling our homes. With many smaller homes cooled by noisy and inefficient window air conditioning units, it’s no wonder a lot of home owners are asking “is there a better option for a home without existing duct work?”. The answer is yes. Ductless air conditioners, sometimes also referred to as “mini split units”, are not only more efficient than window units, but the models that Restivo’s installs cool AND heat your home. Even better, we design our installation plans with maximum cooling efficiency in mind, making it possible to set up “zones” without having to wire a bunch of thermostats throughout your home. This is a perfect solution for older homes that do not have existing duct work, or are built on a slab making it impossible to install floor ducts. Of course ducts in the ceiling are always an option, too! 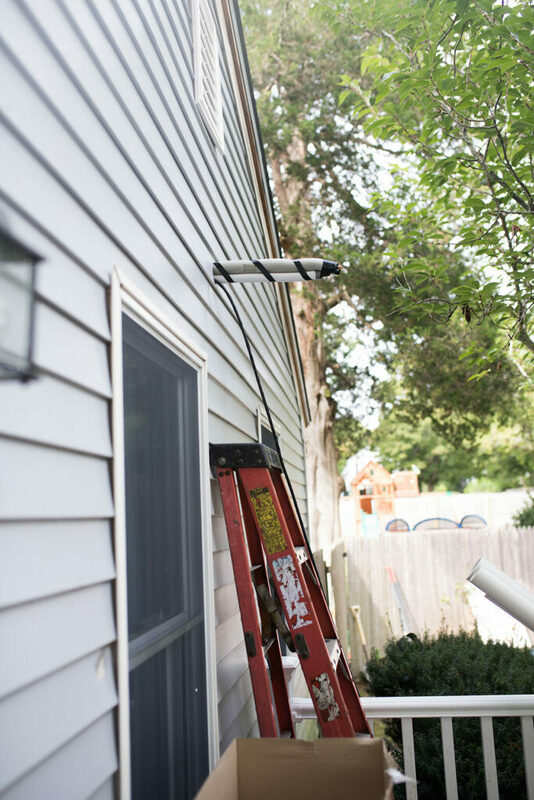 But some homeowners don’t want the hassle of installing ducts. Ductless units were a perfect solution for this church, which had no existing duct work. The installation of ductless units is much quicker and less messy than traditional ducted air conditioning and heating systems. First, the unit is mounted on the wall, and a hole is drilled to the outside of the home. Through the hole, the freeon supply line and drain are fed, and the freeon supply line is connected to the compressor, which is outside of the home. One compressor can serve multiple units. The interior units are virtually noiseless, especially compared to window air conditioning units. Pictured here are the two lines coming out of the side of a home, after a ductless/mini split unit was installed on the interior wall. Mario, one of our team members, is seen here installing a ductless/mini split unit in the downstairs of a home that had a second story added. The downstairs area had no existing duct work so again, the ductless units were a perfect solution. With the winters we have here in Rhode Island and the surrounding areas, it’s a huge bonus that these mini split units also do heat. Not all ductless a/c units can heat, but all of the models that Restivo’s sells do, so you can rest assured that any ductless unit you purchase from Restivo’s will keep you feeling comfortable all year round. For more information about ductless units, click here, or call us at 401-351-REST to schedule your free estimate. I like where you said that installing ductless units is much quicker than traditional units. My husband has been thinking about getting a new heating system. I think we should look into getting a ductless system installed and hiring a company to come out and help us with this. I just moved into my new home! It is definitely a dream home, the only thing wrong with it, is that it doesn’t have a heating or cooling system! It wouldn’t be that bad, but I moved into my new home right at the start of the weather getting hotter. My husband hasn’t been able to sleep because he has been to warm. I never knew that there was different types of air conditioning. I find the section of ducted units interesting. I love how they can be installed much quicker and are less messy than traditional ducted air. I will definitely need to look more into this option. 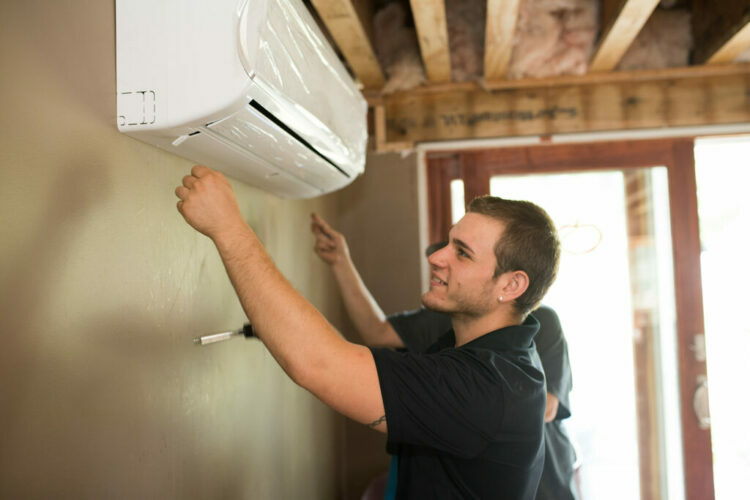 I never knew until you shared that the installation of ductless units is much easier and organized because the unit is simply mounted on the wall while a hole is drilled where the freon supply and drain enter. This sure makes my home clean because there are no further sloppy installations needed to make it messy especially in the living room where most people are. I’ll make sure to keep this in mind as soon as I’m decided to have my new home up; calling an expert to choose and perform installations sure is a better way for a fast-pacing turnaround!